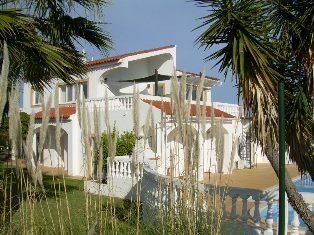 The villa has six bedrooms in total, five of which are on the ground floor. All bedrooms have either shower or bathrooms en-suite, and are air conditioned. Two of the bedrooms are doubles, two are twins and the two largest rooms can be made up with two, three or four singles, or a double and one or two singles. 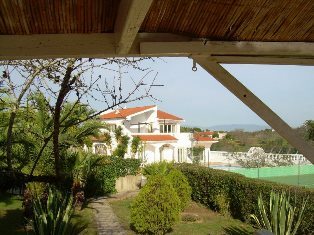 Three bedrooms have doors leading out on to the pool terrace, and two have doors onto the lawn, while the first floor bedroom has its own balcony, with wonderful sunset views towards Monchique. The spacious kitchen is well fitted with ample work top for preparing and plating up magnificent feasts. It is well equipped with a large fridge freezer, plus a second fridge for drinks, dishwasher, oven, five burner gas hob, microwave, juicer, kettle etc. There is more than enough crockery, glassware, dishes, pot and pans for even the largest party that can be accommodated. Inside, the villa is furnished to a very high standard with a mixture of antiques and stylish contemporary furniture, providing a really relaxed environment. The open plan living and dining area has a superb dining table that comfortably seats twelve, and a lounge area with large sofas and occasional chairs around a real fireplace. The lounge has a quality hi-fi, flat screen satellite TV, DVD and playstation, and bookcases with a wide variety of reading material. Patio doors lead from the living area, to the alfresco dining terrace with a marble table that seats 14. The dining table is protected from the heat of the afternoon sun by large shade sail. The HiFi is connected to speakers on the dining terrace. 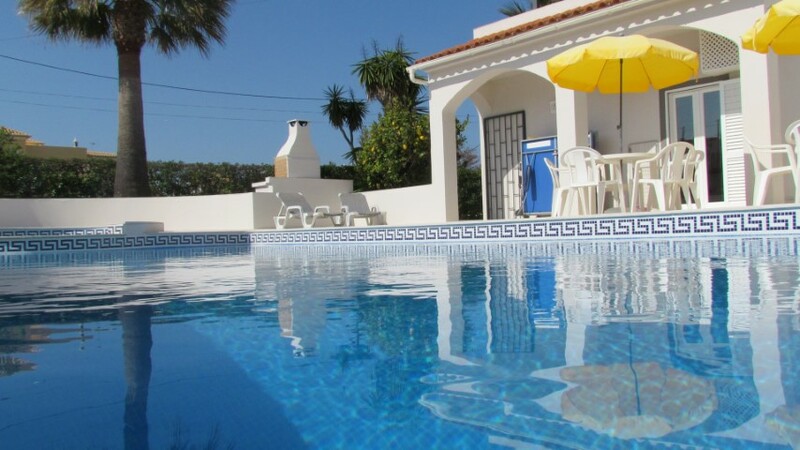 There is a boiler/laundry room in the basement which has a washing machine that is available to clients, ironing facilities are provided in the villa. For the low season there is central heating, plus the wood-burning fireplace to keep the house warm and cosy. Despite the fact that wintertime temperatures often reach the 20° – 25° C range, the average daytime temperature for the winter months is nearer 12° – 15° C.